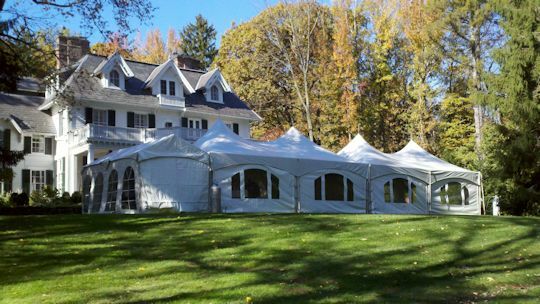 Tenting for every size event from casual back yard parties to large corporate events and elegant weddings. 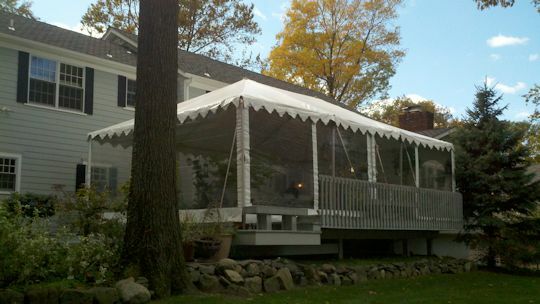 Tents and party canopies are available in a large variety of sizes, in white and other colors. Come in to discuss your particular needs with one of our party consultants. 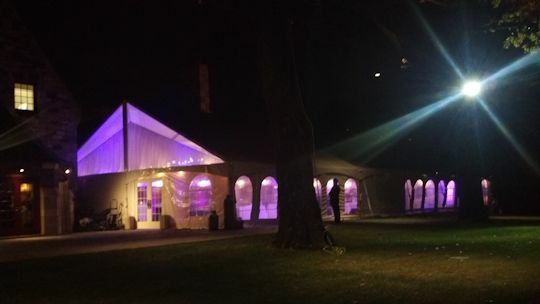 We can also equip your tent with dance floors, LED Lighting, tent & event lighting, heating, fans and climate control, artificial turf, sidewalls, tent Liners, and french doors. 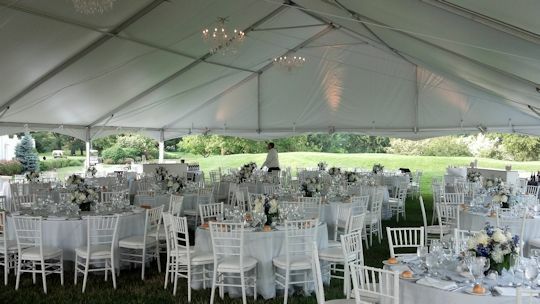 Use this guide to educate yourself about the size of tents that you might need for the number of guests attending your event. 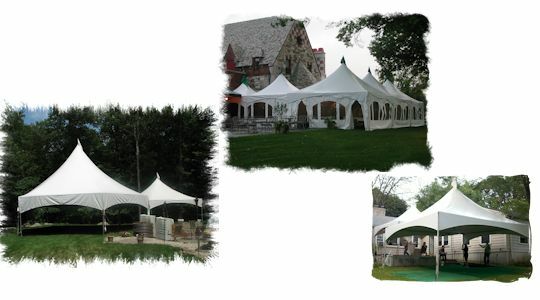 • Small Traditional Frame Tents in widths of 6ft, 9ft, 10ft, 12ft, and 15ft wide. 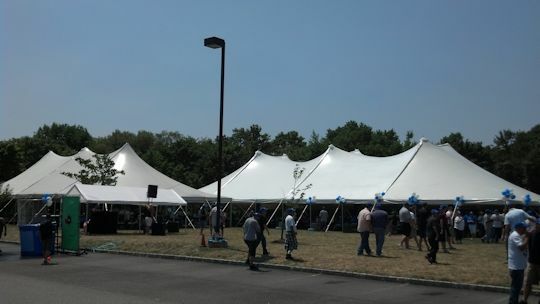 These tents are used for walkways, deck tents, patios, tenting for DJ's, and small coverage areas. 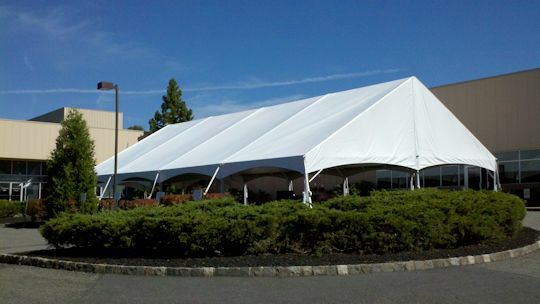 The length of these tents can expand to any length to accomadate any event needs. 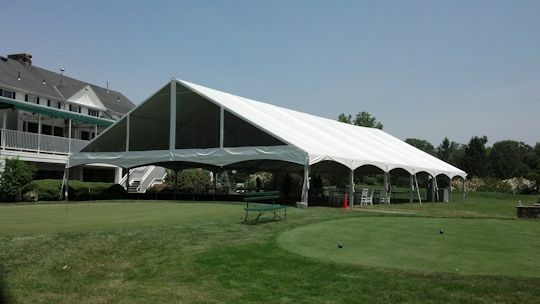 • Medium Traditional Frame Tents in widths of 20ft and 30ft wide. 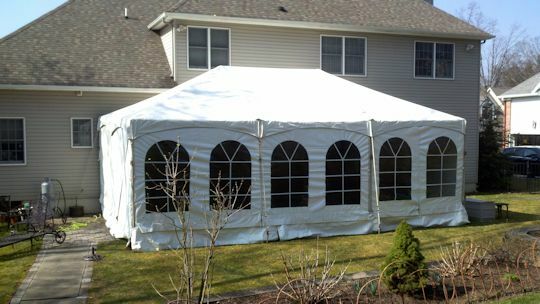 Traditional sizes for most back yard small gatherings and graduation parties. 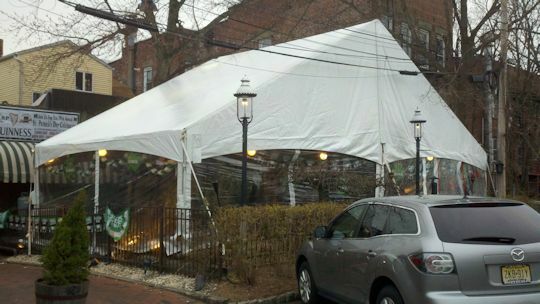 Ask your sales consultant about our NEW clear top 20 ft wide frame tents! 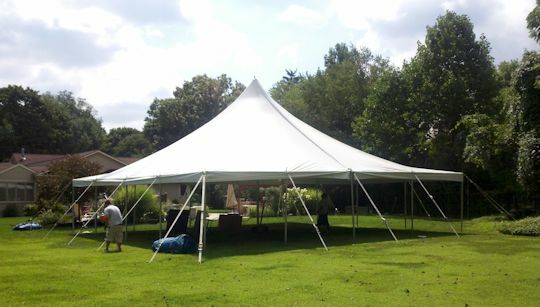 High Peak Frame Tents are a great blend of the look of a pole tent with the functionality of a frame tent. 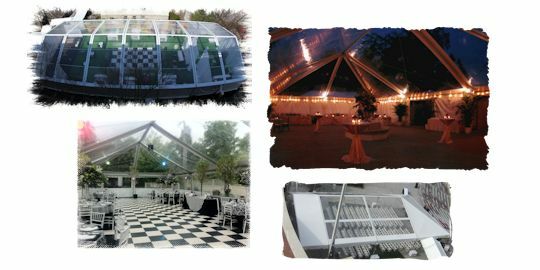 The design of of these tents can creat the look that will wow your guests and make the long lasting memories that you desire! 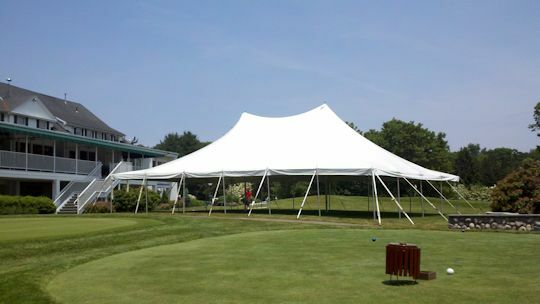 Pole tents are the picture perfect wedding tent. 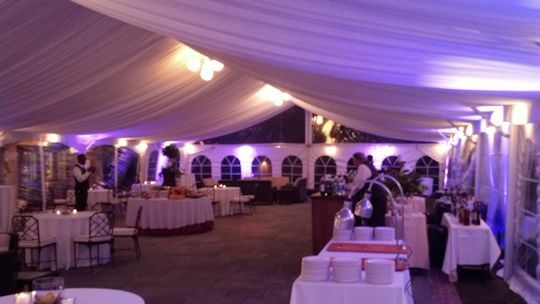 They can provide seating and event space for hundreds up to thousands and make your wedding, fair, festival, the special event that you always wanted. 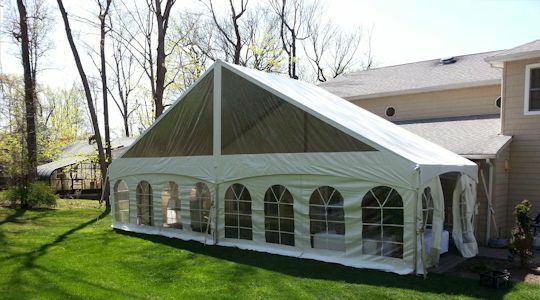 • Clear Top Frame Tents in widths of 20ft, 30ft, 40ft, 50 ft wide. 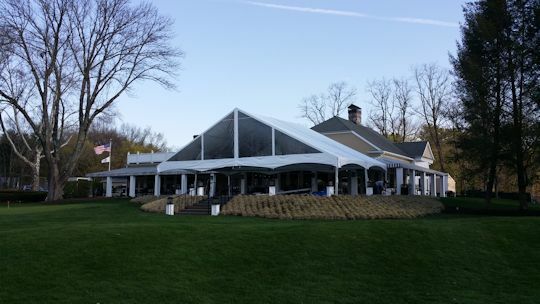 Great for night time events, Spring and fall weather, these clear top canopies and frame tents give you the protection of a tent with the look of the night sky above you. 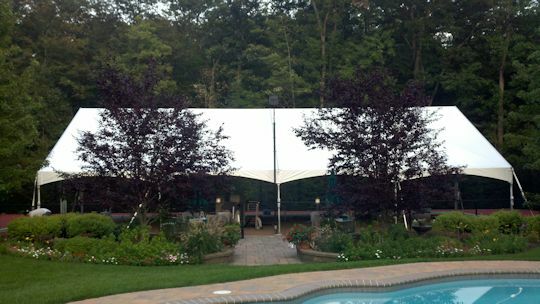 These tents can be completely clear or by just adding some clear sections. These cost effect options can give you the coverage you need at the right price. All of these canopies can fit in cars or SUV's and can be installed with no more than two people. 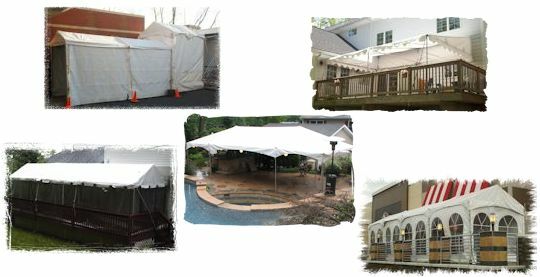 Scissor frame pop-up canopies and over the counter pole canopies are the right fit for the event on a budget or the do-it-yourself'er. Ranging in many sizes we have the right rental product for you. 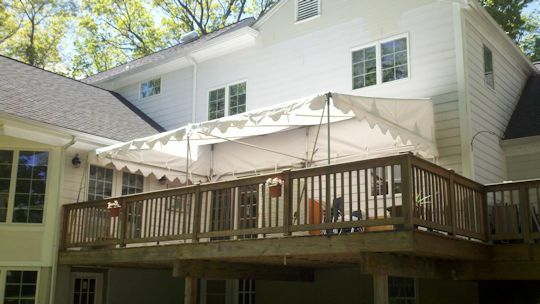 10 x 10, 10 x 20, and Star Shade white or cream canopies fit easily in most vehicles. 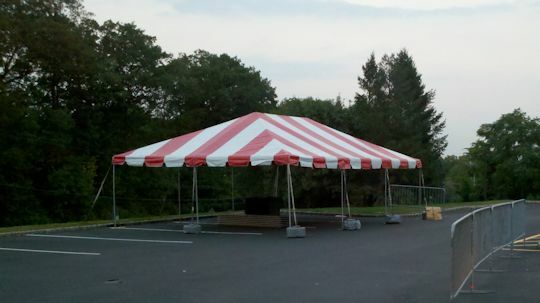 Set-up in moments, great for trade show booths, fairs, and quick needed canopies. Click on the image to see more info. Ask your sales consultant today! 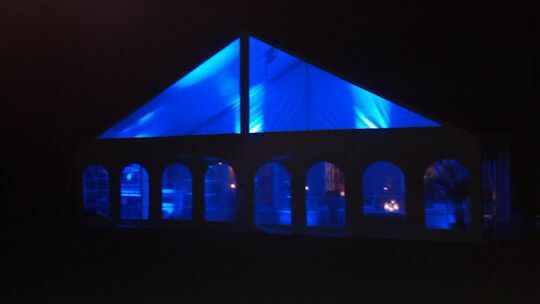 Let our staff assist you with all of your tent and event needs.